Este blog é um arquivo de memórias e afectos sobre o Elevador. Dos afectos de todos os que nele viajam ou o visitam. 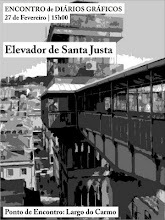 Este arquivo está a ser permanentemente construído a partir da sua contribuição: as suas fotos, os seus vídeos, os seus textos, ou os seus desenhos sobre a sua experiência no Elevador de Santa Justa. This blog is an archive of memories and feelings about this elevator. 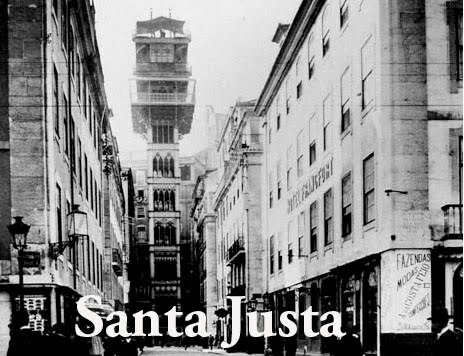 Of the affection felt by those travelling in or visiting it.This archive is being constructed continuously with your contribution: your photographs, videos, texts or drawings on your Santa Justa Lift experience. 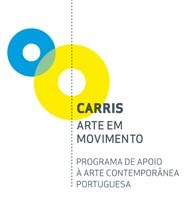 "Santa Justa" is a project that is part of a Cultural Program for the promotion of “Public Art”, which CARRIS intends to carry out in some vehicles of its public service fleet. In 2010, the chosen vehicles were one lift and tree funiculars, all of them National Monuments since 2002. The participant artists are Vasco Araújo at Ascensor do Lavra, Susana Anágua at Ascensor da Glória, Alexandre Farto at Ascensor da Bica e Susana Mendes Silva at Elevador de Santa Justa.